We’re excited for this blog to be a live, on-air broadcast from Chicago’s own WGN Radio! We were super thrilled to be a guest on Amy Guth’s show for her topic: Classical Music in Chicago. Take a listen in, would love to hear your comments! Tonight on the Saturday Night Special, host Amy Guth explores the world of classical music in the modern era with musicians, composers and appreciators of the form. 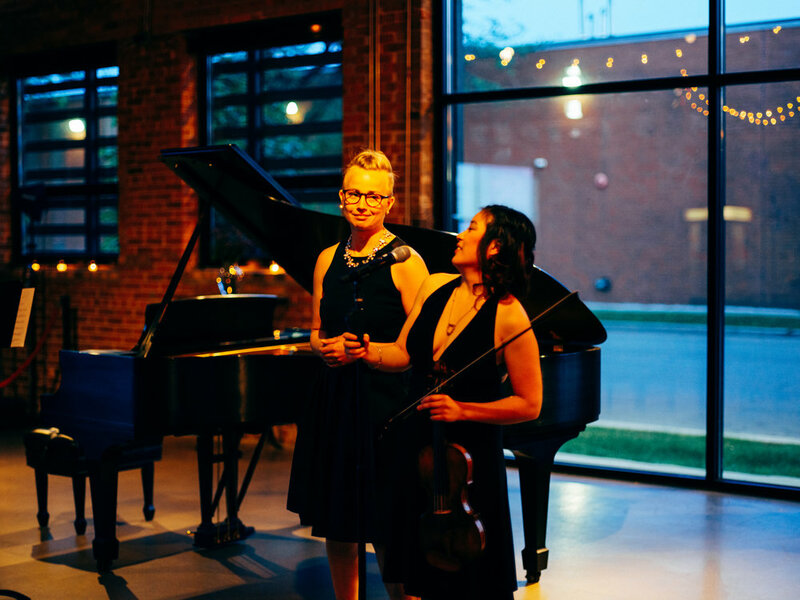 Kathryn Satoh and Elizabeth Newkirk of the chamber music duo Bow and Hammer join Amy in-studio to talk about the art and business of being classical music performers in Chicago. They discuss their mission of making classical music an enriching part of everyday life and thoughts on the Chicago classical scene. WGN Radio’s Dave Schwan talks about his on-air work for WFMT, Chicago’s premiere classical radio station. He talks about the importance of broadcasting classical music for the masses and digs into the historical context of classical music. Finally, film composer Tony Scott-Green brings his years of experience composing music to round out our conversation with a look into how he composes film scores and a look inside the artistry behind the music you hear in the movies.